The new Driving Events from Mercedes-Benz for the 2013/2014 season offer participants thrills galore and the height of driving enjoyment while honing their driving skills. The comprehensive program spans the range from driving safety to adrenaline-charged race circuit training and breath-taking trips – according to participants’ driving standards and personal expectations. Professional instructors are on hand to help raise driving skills to a new level. The vehicles are provided for the most part by Mercedes-Benz – the latest saloons, coupés, roadsters and off-roaders. The AMG Driving Academy complements this line-up with high-powered, thrilling and inspiring experiences in high-performance vehicles. Driving training has a long tradition at Mercedes-Benz. Gottlieb Daimler’s sons carried out the first driving training courses over 100 years ago. The Mercedes-Benz Driving Events program for the 2013/2014 season offers much more, comprising 36 different events at 22 selected locations worldwide. The program spans safety, sports and Eco training – on- and off-road, in the summer and on snow and ice in the winter. The Mercedes-Benz Driving Events offer special highlights in the form of fascinating exclusive trips, on which Mercedes-Benz off-road vehicles tackle the South American jungle, high mountain passes in the Andes, the bizarre landscape of the Atacama Desert or dirt roads in the Namibian wilderness, for example. Driving safety training forms the core of the Driving Events program from Mercedes-Benz. There are on and off-road events for both summer and winter. In the summer they take place in Germany on well-known race circuits such as the Nürburgring, the Sachsenring or the Hockenheimring, at disused airfields and challenging, specially prepared practice sites. In the winter, the snow-covered destinations are located in Austria, Switzerland and close to the Arctic Circle in the Swedish province of Lapland with its frozen-over lakes. On the driving safety training courses the participants are acquainted with typical dangerous situations at on and off-road locations and practice appropriate reactions to the attendant dangers. With this range of training covering virtually every need at reasonable prices – the half-day Compact training for 18 to 25 year-olds costs only 95 euros, for example, while the Basic training for young drivers is available at 295 euros – Mercedes-Benz aims to reach as many drivers as possible. Ultimately, the assured control of the vehicle which is imparted in the training courses benefits not only Mercedes drivers, but all road users. And every accident is one accident too many. The target group for the various courses is correspondingly diverse, ranging from those who have recently passed their driving test through experienced drivers to professionals. The sole requirement is that the driver must hold a class 3/class B driving license. Compact training: on this half-day course, participants find out how an accident can be prevented effectively. Exercises include full brake application combined with an evasive maneuver, and a slalom course. Compact training is also available as a reasonably-priced special training event for 18 to 25-year-olds. Basic training: as part of this one-day event, the participants learn how dangerous situations can be dealt with safely and confidently with support from active control systems. The demanding program of lessons includes taking evasive action without braking from 80 km/h, emergency braking and correcting skidding vehicles. Advanced training: this extension course provides additional solutions for dealing with hazardous situations at higher speeds – such as emergency braking at 100 km/h or controlling a tail-end skid on a wet bend. Perfection training: here exercises are conducted at high speeds. For example, participants learn how to keep their vehicle under control during an emergency lane change maneuver at motorway speeds of 130 km/h. In addition, challenging drift exercises on famous race tracks are also on the agenda. Eco training: during this half-day event, participants undertake simple practical and theoretical exercises to learn how to reduce fuel consumption by handling their car more efficiently. On average, those who complete the Eco training course subsequently use 15 percent less fuel, without foregoing any enjoyment at the wheel. Pro driver training basic and advanced: this event enables professional drivers to enhance their driving skills. The program includes performing an evasive maneuver at 100 km/h in a predefined direction through a set of traffic lights, emergency braking scenarios and correcting a tail-skidding vehicle at motorway speed, for example. Driving practice is complemented by theoretical exercises tailored to the specific profession with trainers who also instruct police task forces. off-road training events: in the spacious stone quarry outside Kitzbühel, participants are able to get to grips with difficult terrain at half- or full-day training events using G-, GL-, GLK- and M-Class vehicles. The program also includes a Sports training course for highly ambitious drivers. This provides racing enthusiasts with a unique opportunity to experience driving from a racing driver’s perspective. They learn how to control vehicles at the critical limits, for example, enabling them to react with greater composure and more prudently in dangerous situations. They also practice finding the ideal line and the optimum braking point. As a brand new feature, participants in the Sports training course now have an opportunity to acquire the national A-class license. The Fascination Tours focus on experiences that are out of the ordinary. An excursion on smart e-bikes to the Klimahaus in Bremerhaven, for example, where participants can experience all types of climatic zones and explore the secrets of the weather, the climate and climate protection. A quite different but similarly thrilling experience is offered by the “Driving Air Tour”, for example, on which participants take to the air in a Cessna or Piper and also get their turn at the controls en route from Wilhelmshaven to Norderney and Emden. Travel Experience – another program from Mercedes-Benz Driving Events. Here, participants discover a world of thrills and adventure with Mercedes. On a trip across the mystical Emerald Isle of Ireland with its legendary scenery, for example. Among the wild animals of Namibia or on a challenging ocean-to-ocean trip across South America. A new addition to the program is the G-Class Experience, featuring a trip to famous Schöckl peak, where participants have an opportunity to experience the legendary G-Class test circuit at first hand. Virtually the entire model range from Mercedes-Benz is available for the training courses. The driver training courses, excursions and trips are overseen by instructors who combine extensive driving skills and a wealth of experience with a pronounced ability to explain physical aspects of driving in such a readily comprehensible manner that participants are able to put them into practice in their daily lives. The AMG Driving Academy is also offering a diverse and uniquely exciting program in 2013/2014 with new destinations, new instructors and new AMG high-performance cars. In response to the great demand for exclusive events, the AMG Driving Academy is internationally active. From Europe to the USA, China, Japan, Russia or India – AMG fans worldwide enjoy the opportunity to experience the thrill of superlative automotive performance. In addition to legendary race circuits such as the Nürburgring-Nordschleife (Germany), Imola (Italy), Laguna Seca Raceway (USA) or Fuji Speedway (Japan), training is also taking place for the first time at the spectacular Yas Marina Circuit in Abu Dhabi (United Arab Emirates). The race circuit in Portimão (Portugal) and the completely new Bilster Berg Drive Resort (Germany) will also be used by the AMG Driving Academy for the first time in 2013. All the instructors presenting the courses are experienced figures from the world of motorsport. The illustrious line-up includes DTM championship record holder and AMG brand ambassador Bernd Schneider, the driver of the Official F1™ Safety Car, Bernd Mayländer, AMG brand ambassador Karl Wendlinger and GT drivers Jan Seyffarth and Lance David Arnold. A new addition to the team headed by chief instructor Reinhold Renger is Swiss racing driver Cyndie Allemann. Worldwide, the AMG Driving Academy has 100 instructors on its roster. The AMG Driving Academy programs comprise professional training measures which will enable ambitious sports car enthusiasts to improve their individual control of their vehicles and enhance their active driving safety. All events staged by the AMG Driving Academy feature advanced training methods which ensure a swift grounding in the basics of driving dynamics. Acquainting drivers with both their own limitations and their vehicles’ limits in a totally safe manner is also on the agenda. Another key focus is on thrilling driving experiences with exciting AMG high-performance vehicles. 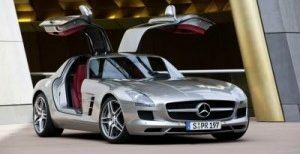 The new SLS AMG Coupé Black Series and the new E 63 AMG S-Model with performance-oriented AMG 4MATIC all-wheel drive are featuring for the first time in 2013. Depending on the type of event concerned, participants either drive their own AMG vehicles or AMG high-performance cars provided by the AMG Driving Academy. Hire cars are also available. A high-caliber supporting program featuring local culinary delights and professional supervision is an integral part of every event. Perfect control of the vehicle coupled with great passion and the utmost in driving enjoyment: the AMG Driving Academy program covers five skill levels (EMOTION, BASIC, ADVANCED, PRO, MASTERS) and offers the ideal event for every proficiency level. Beginning with lifestyle- and motorsport-oriented events (EMOTION), the program progresses through an introduction to the given critical limits (BASIC) to intensive race circuit training with data recording and individual coaching (ADVANCED, PRO, MASTERS). The Winter Sporting event in Sweden’s Lapland region offers pure, unadulterated fun at the wheel on ice and snow. 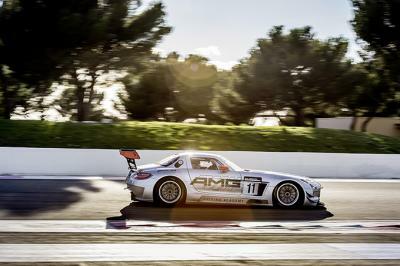 The SLS AMG GT3 is used as a training vehicle for the highest level – the MASTERS. This thoroughbred gullwing racing car was developed in accordance with FIA GT3 rules. To ensure the most effective learning experience, the MASTERS breaks down into four modules: EXPERIENCE, WARM-UP, TRAINING and COMPETITION. A totally new item in the program is the SUV EMOTION Tour, which participants undertake in an ML 63 AMG, GL 63 AMG, G 63 AMG or G 65 AMG. In addition to a visit to the plant in Graz (Austria) where the legendary Mercedes-Benz G-Class is produced, a spectacular off-road adventure at the challenging “Schöckl” test site is also on the agenda. The AMG Driving Academy also arranges complete incentive trips for companies, customers or business partners. These can be tailored to any individual wishes – from guided excursions through circuit training and plant tours to a trip in the SLS AMG GT3 racing taxi. The classes look like a lot of fun and educational in the way these kind of cars deliver performance. I babied my AMG the first few months of ownership and was compelled to test drag and circle track experience once again stepping out of a choice 124. This AMG has me grinning and proud. Great Mike – everyone seems to love his or her AMG Mercedes-Benz. Regular maintenance as recommended seems to be key to long-term enjoyment based on our readers feedback. Thanks for commenting. Great to see safe driving events being promoted. Are there many events in California area?